(aa) The Harney Basin (were the Hammond ranch is established) was settled in the 1870’s. The valley was settled by multiple ranchers and was known to have run over 300,000 head of cattle. These ranchers developed a state of the art irrigated system to water the meadows, and it soon became a favorite stopping place for migrating birds on their annual trek north. (ab) In 1908 President Theodor Roosevelt, in a political scheme, create an “Indian reservation” around the Malheur, Mud & Harney Lakes and declared it “as a preserve and breeding ground for native birds”. 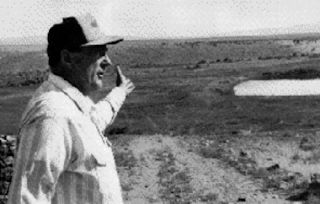 Later this “Indian reservation” (without Indians) became the Malheur National Wildlife Refuge. (a1) By the 1970’s nearly all the ranches adjacent to the Blitzen Valley were purchased by the US Fish and Wildlife Service (FWS) and added to the Malheur National Wildlife Refuge. The refuge covers over 187,000 acres and stretches over 45 miles long and 37 miles wide. The expansion of the refuge grew and surrounds to the Hammond’s ranch. Being approached many times by the FWS, the Hammonds refused to sell. 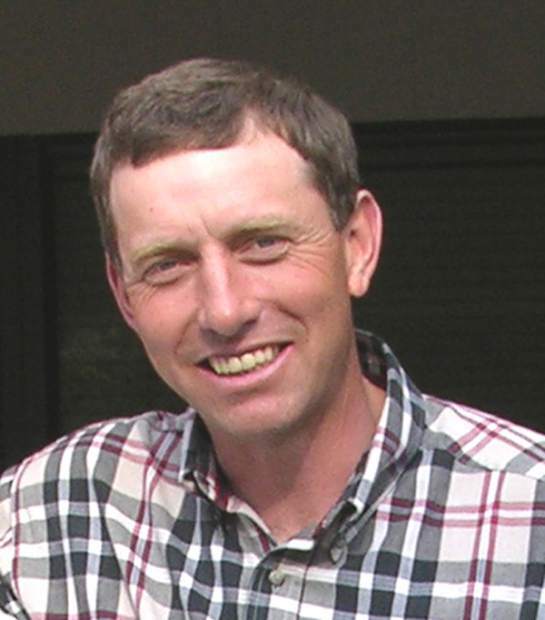 Other ranchers also choose not to sell. (a2) During the 1970’s the Fish and Wildlife Service (FWS), in conjunction with the Bureau of Land Management (BLM), took a different approach to get the ranchers to sell. Ranchers were told that, “grazing was detrimental to wildlife and must be reduced”. 32 out of 53 permits were revoked and many ranchers were forced to leave. Grazing fees were raised significantly for those who were allowed to remain. Refuge personnel took over the irrigation system claiming it as their own. (a4) By the 1990’s the Hammonds were one of the very few ranchers that still owned private property adjacent to the refuge. Susie Hammond in an effort to make sense of what was going on began compiling fact about the refuge. In a hidden public record she found a study that was done by the FWS in 1975. The study showed that the “no use” policies of the FWS on the refuge were causing the wildlife to leave the refuge and move to private property. The study showed that the private property adjacent to the Malheur Wildlife Refuge produced 4 times more ducks and geese than the refuge did. It also showed that the migrating birds were 13 times more likely to land on private property than on the refuge. When Susie brought this to the attention of the FWS and refuge personnel, her and her family became the subjects of a long train of abuses and corruptions. (d) The FWS also began restricting access to upper pieces of the Hammond’s private property. In order to get to the upper part of the Hammond’s ranch they had to go on a road that went through the Malhuer Wildlife Refuge. The FWS began barricading the road and threatening the Hammonds if they drove through it. The Hammonds removed the barricades and gates and continued to use their right of access. The road was proven later to be owned by the County of Harney. This further enraged the BLM & FWS. 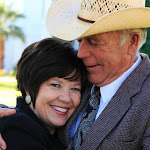 (e) Shortly after the road & water disputes, the BLM & FWS arbitrarily revoked the Hammond’s upper grazing permit without any given cause, court proceeding or court ruling. As a traditional “fence out state” Oregon requires no obligation on the part of an owner to keep his or her livestock within a fence or to maintain control over the movement of the livestock. 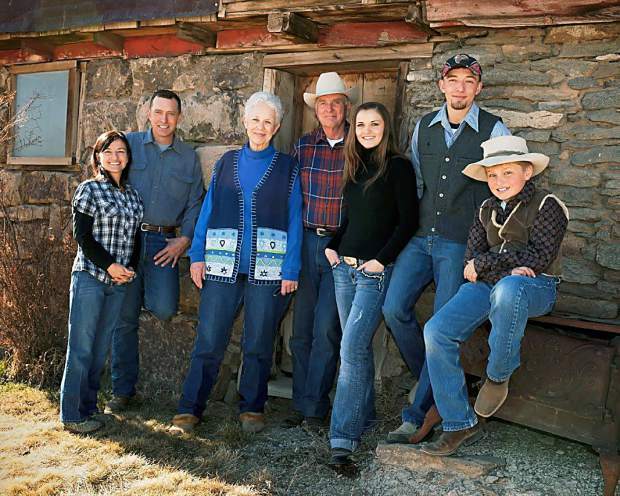 The Hammonds intended to still use their private property for grazing. However, they were informed that a federal judge ruled, in a federal court, that the federal government did not have to observe the Oregon fence out law. “Those laws are for the people, not for them”. (h) The owner of the Hammond’s original ranch passed away from a heart attack and the Hammonds made a trade for the ranch back. (j) In 2006 a massive lightning storm started multiple fires that joined together inflaming the countryside. To prevent the fire from destroying their winter range and possibly their home, Steven Hammond (Son) started a backfire on their private property. The backfire was successful in putting out the lightning fires that had covered thousands of acres within a short period of time. The backfire saved much of the range and vegetation needed to feed the cattle through the winter. Steven’s mother, Susan Hammond said: “The backfire worked perfectly, it put out the fire, saved the range and possibly our home”. (k) In 2011, 5 years after the police report was taken, the U.S. Attorney Office accused Dwight and Steven Hammond of completely different charges, they accused them of being “Terrorist” under the Federal Antiterrorism Effective Death Penalty Act of 1996. This act carries a minimum sentence of five years in prison and a maximum sentence of death. Dwight & Steven’s mug shots were all over the news the next week posing them as “Arsonists”. Susan Hammond (Wife & Mother) said: “I would walk down the street or go in a store, people I had known for years would take extreme measures to avoid me”. (l) Shortly after the sentencing, Capital Press ran a story about the Hammonds. A person who identified as Greg Allum posted three comments on the article, calling the ranchers “clowns” who endangered firefighters and other people in the area while burning valuable rangeland. Greg Allum, a retired BLM heavy equipment operator, soon called Capital Press to complain that he had not made those comments and request that they be taken down from the website. Capital Press removed the comments. A search of the Internet Protocol address associated with the comments revealed it is owned by the BLM’s office in Denver, Colorado. Allum said, he is friends with the Hammonds and was alerted to the comments by neighbors who knew he wouldn’t have written them. “I feel bad for them. They lost a lot and they’re going to lose more,” Allum said of the ranchers. “They’re not terrorists. There’s this hatred in the BLM for them, and I don’t get it,” The retired BLM employee said. Jody Weil, deputy state director for communications at BLM’s Oregon office, indicated to reporters that if one of their agents falsified the comments, they would keep it private and not inform the public. (m) In September 2006, Dwight & Susan Hammond’s home was raided. The agents informed the Hammonds that they were looking for evidence that would connect them to the fires. The Hammonds later found out that a boot print and a tire tracks were found near one of the many fires. No matching boots or tires were found in the Hammonds home or on their property. Susan Hammond (Wife) later said; " I have never felt so violated in my life. We are ranchers not criminals”. Steven Hammond openly maintains his testimony that he started the backfire to save the winter grass from being destroyed and that the backfire ended up working so well it put out the fire entirely altogether. (o) Federal attorneys, Frank Papagni, hunted down a witness that was not mentally capable to be a credible witness. Dusty Hammond (grandson and nephew) testified that Steven told him to start a fire. He was 13 at the time and 24 when he testified (11 years later). At 24 Dusty had been suffering with mental problems for many years. He had estranged his family including his mother. Judge Hogan noted that Dusty’s memories as a 13-year-old boy were not clear or credible. He allowed the prosecution to continually use Dusty’s testimony anyway. When speaking to the Hammonds about this testimony, they understood that Dusty was manipulated and expressed nothing but love for their troubled grandson. (t) In October 2015, the 9th District Court “resentenced” Dwight and Steven, requiring them to return to prison for several more years. Steven (46) has a wife and 3 children. Dwight (74) will leave Susan (74) to be alone after 55 years of marriage. If he survives, he will be 79 when he is released. Due to the fact that people cannot survive without land and resource, the federal government’s action in administering the lands for their own benefit will be the cause of public discontent and unrest until it is corrected. Rally – 12 pm - Meet at the Safeway in Burns. (Safeway, 246 W. Monroe St., Burns, OR 97720) arrive around 12:00pm. Bring flags, flowers, banners and homemade signs. March – Right after rally - We'll march from Safeway, north on past the Sheriffs/County offices, head east to downtown main street (Broadway) and stop by the Hammond's home, drop off flowers in front of their home. Protest – During the march – Bring coins (pennies, nickles & dimes), as we march past the Sheriff & County building we will flip thousands of coins on the walkways, sending the message to County leaders that they have failed to do their duty in protecting the people of Harney County from the federal government and instead have sold the people out. 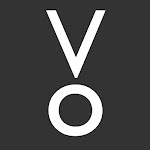 - Contact your friends and groups to plan a sign-making event in your respective areas between now and the 2nd of January. We should have a good turn out, support our neighbors, and rally once again. We will be calling media outlets to let them know that Americans will be gathering in Burns to support the ranchers that are being treated like terrorists. Please understand that we must exhaust all prudent measures before taking a physical stand against the horrific actions that the People of Harney County are enduring (including the Hammond's). If this Notice is ignored, then one more Notice of Demand will be sent, it will list the many petitions that have been ignored and demand that the Hammond's rights be restored. If that final Notice is rejected then People across the Union will have justification to assemble and once again restore individual rights. We hold compelling evidence that the U.S. Government abused the federal court system, situating the Hammond family into duress as effort to force the Hammond's to sell their Steen Mountain property to a federal agency. We the People, being free, have need to defend our freedom from time to time against those who would violate our rights as defined by our Creator. It is an arduous task to constantly be on guard in the protection of our life, our family, and our means of providing a living. 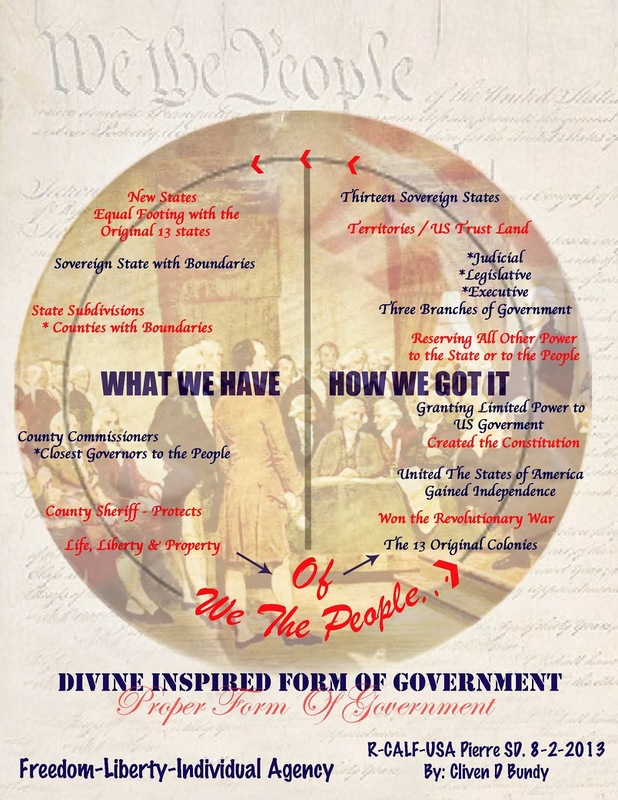 Therefore, “We the People” as neighbors, create government and laws to protect our lives, liberties, properties, and our pursuant of happiness, from those who would take them away. Our federal government is created and receives its authority from the people as outlined in Constitution of the United States. The Constitution specifies how and what the federal government is and what powers those that hold office have. We have given the federal government specific duties to perform and granted it the power to fulfill only those duties and nothing else. The Constitution of the United States, created by “We the People” established a government for the protection of individuals. Government in and of itself has no power or authority. 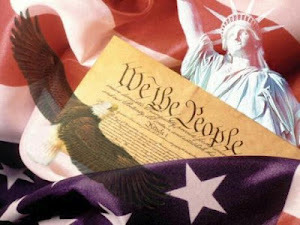 We the People of the United States of America have stated in article VI of the U.S. Constitution that, “This Constitution, and the Laws of the United States which shall be made in Pursuance thereof … shall be the supreme Law of the Land ...” This ensures that no other document or law created can supersede the Constitution. No case law, no code, no regulation, no foreign law, no act of congress … nothing can supersede the Constitution when it comes to governing the people. It must be pursuing the purpose and intent of the original Constitution or it is not lawful. The Ninth and Tenth Amendment to the Constitution further restricts and clarifies that the central government (federal) we have created is our servant, and not our master. That it does not have authority to make or take any authority or power that the people did not specifically give. These two amendments simply clarify that the federal government does not have unlimited power, that the powers have been granted from the People, and that those powers are limited to performing specific functions. So now the question can be asked. Where in the Constitution have we given Congress, (i.e. the Federal Government) the right to control or administer land, and under what conditions may they do it? Let us go to article IV sec. 3 of the Constitution which states: The Congress shall have Power to dispose of and make all needful Rules and Regulations respecting the Territory or other Property belonging to the United States ... This section of the Constitution grants Congress the power to make needful rules and regulations while the land is still a Territory (capital T) and grants Congress the power to dispose of the land. It does not grant unto congress the power to retain the land, only to dispose of it. This means that the federal government does not and never will OWN the land, which is a Territory. They can make the rules while it is a Territory, but they have the obligation, duty and authority to dispose of it. In other words, the people OWN the land and have charged the Federal government to be administrators until it can be disposed of. So how does Congress dispose of the land? It can be done in several ways: they can sell it, they can give it away (such as they did with the Homestead act), but however, the ultimate tool of disposal is Statehood. By accepting a State into the Union, Congress is disposing (relinquishing rights) of the land to the people of that particular State. At the moment of Statehood, no longer does Congress have the constituted authority to administrate the land or resources within the borders of that State. So, what is a State? The definition of a State is the same as that of a Nation. The two terms are synonymous. Evidence of this is the signing of the Treaty of Paris, named after the city where it was signed. This is the official treaty that ended the Revolutionary war. The treaty was signed by 14 states. But wait, there were only 13 original colonies! So, who was the 14th State that signed the treaty? The answer is, Great Britain! This is significant. Before the treaty the separate areas of land in America were known as Colonies. These Colonies were under the control of Great Britain and the people subjects of the king. They were not States. By winning the Revolutionary War, the American people won their independence from the crown. They became equals to Great Britain as thirteen Nations, separate and independent, equal in every respect. Each Nation signed the Treaty of Paris. Great Britain, the fourteenth State, also signed. The most powerful Nation in the world at that time, Great Britain, considered the thirteen States as equals in every respect. The people of the thirteen States always intended to be united in some sort of a Union. Under the Articles of Confederation, they attempted this Union and perfected it later by organizing a central government (federal) to take care of specific maters. The Constitution of the United States outlines what authorization the Unified States granted to this central government. The thing to remember is that each independent State had the choice to join the Union or not, they were independent and separate Nations that chose to enter into a Union with each other. In 1789, the thirteen States were united under the newly signed Constitution. The original thirteen States had land that extended west of the Allegany Mountains, mostly unsettled. The States voluntarily and collectively decided to allow the central government (federal) to administer these lands. They called them Territories. The plan was for the federal government to administrate the Territories until they could become States. When a Territory is populated to the point that it could stand on its own, jurisdiction would be turned over to the people of that Territory and it would become an Independent State and part of the Union. As the population grew due to westward expansion, Territorial lands were created into States. The process to become a State is established on the "Equal footing Doctrine" where all future States would be treated sovereign and equal. New States entering the Union would enter on an equal footing with the original thirteen States. According to Article IV, Section IV of the U.S. Constitution, all new States would be equal to the other States, in every regard. There is no question that the people in the original thirteen States owned the land within the State borders. There is no question that the central, or federal government, had no right to any land within the several States. It is absurd to think that a newly created State, equal to the original thirteen, must give up their lands to the central government. So is there any place in the Constitution of the United States that allows Congress to administrate land inside a State? Article IV, Sec. 3 of the US Constitution records that, "The Congress shall have Power to dispose of and make all needful Rules and Regulations respecting the Territory or other Property belonging to the United States; ..."
So what is this "other property"? Where is it found in the Constitution? The answer is found in Article 1, Sec. 8, Clause 17. This is the only other place in the Constitution that gives power to Congress regarding administration or control of land. Article I, Sec. 8, Clause 17 states, The Congress shall have power: To exercise exclusive Legislation in all Cases whatsoever, over such District (not exceeding ten Miles square) as may, by Cession of particular States, and the Acceptance of Congress, become the Seat of the Government of the United States, and to exercise like Authority over all Places purchased by the Consent of the Legislature of the State in which the Same shall be, for the Erection of Forts, Magazines, Arsenals, dock-Yards, and other needful Buildings. Through this section of the Constitution We the People granted unto congress an area of land 10 miles x 10 miles, so 100 square miles for the purpose of being the seat of government. We know this area as Washington DC. This land had to be carved out of existing States. Notice that it was not taken by force but “…as may by Cession of particular States ... become the Seat of Government..." The States from which it came voluntarily ceded the land to Congress; they did this only for the purpose of it becoming the seat of government, and no other purpose. We also give Congress the opportunity to use land within a State. It is not done by force, but must be done with the "Consent of the Legislature of the State in which the same shall be" (land within a State includes all the land within borders of the State, public or private. Congress cannot purchase private land without the consent of the State Legislator). This purchased land cannot be used for any purpose that Congress whishes. We only authorize Congress to use the land for five purposes, "for the Erection of Forts, Magazines, Arsenals, dock-Yards, and other needful Buildings." Four of the five are strait forward uses, military uses and shipping. Other needful building’s is a bit open-ended but is restricted to a building and not of vast lands. If the State does not own the land, then why would Congress have to get permission from the State to purchase it? If the State does not own the land how could the States sell it? When our founders created the Constitution they were trying to protect the People’s rights to the ownership and control of the land and resources. They just fought a hard and bloody war to ensure these rights. They were not about to create another monster, tyrannical government like the one they just freed them selves from. It was their original intent to create a small general government with power enough to defend against outside enemies and create peace within. They never intended government to own mass amounts of land. The United States of America is a Union of States. Union by definition is many or at least more than one who have come together for a specific purpose. The United States is not one nation, but many, 50 Nations that have United for specific purposes as constituted. We the People have never granted to congress the right to administrate land inside States except for the limited purposes outlined in Article 1, Sec. 8, Clause 17 of the Constitution. All the land that the federal government now claims, i.e., BLM, Forest Service, Monuments, Recreation areas, Wilderness, Reclamation areas, Wildlife refuges, Areas of Critical Environmental Concern (ACEC), National parks, etc., are all unconstitutional! None of them fit within the boundaries of the Constitution. It is simple; the land belongs to the People! Additionally, We the People have never given Congress the power or authority to control our resources; water, lumber, minerals, petroleum, forage, or wildlife of any kind. These all fall under the 10th Amendment and are reserved to the State, or to the People. Any act of Congress stating otherwise, is not in pursuance of the Constitution. 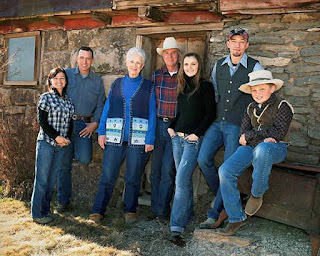 We, the Bundy family urge each government body to uphold the Constitution of the United States, uphold its original intent and disregard unconstitutional entities, acts, codes, etc., that circumvent the freedom of the individual. A State is not a Territory and is not subject to Territorial laws once it becomes a State. The Constitution is very clear on this matter. We strongly encourage each State to act like a State and stop being subjugated and controlled like a Territory. As State leaders, it is time to start doing what the People expect of you, and that is to protect their lives, protect their liberty, protect their property, and allow the pursuit of happiness. In other words, protect their God given rights. It is time to stop allowing the federal government to violate these sacred liberties. We the People desperately need your protection. If you will not fulfill your constitutional duties the people are exposed to suffer oppression, and the power of the State reverting to an all-powerful central government becomes a reality, more than it already is. If you, as leaders of a sovereign State will not protect the people’s rights, then We the People will have to do it ourselves and replace you with others who will stand for our future.